At three years old, Alexander is a dinosaur mad pre-schooler! Since honing what he likes and dislikes, building upon interests, Alexander has been keen on the prehistoric creatures with this only growing as he himself grows. Today I thought I'd share a post for others who have a dinosaur loving child too. 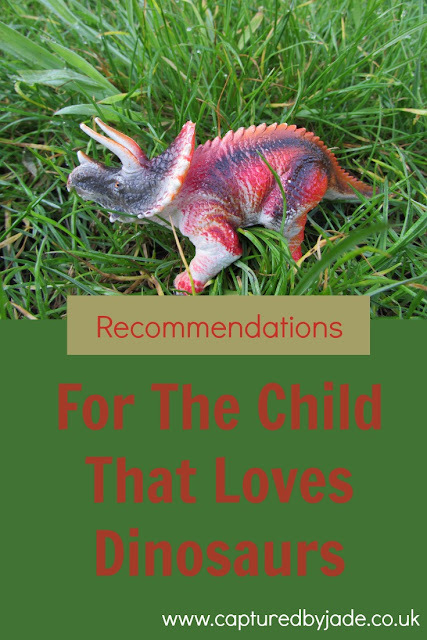 I've put together a list of all things dinosaur, including some activities that focus on dinosaurs, a variety of books with dinosaurs at the centre of the storyline, toys that may be of interest and also some places to take your little ones to see dinosaurs. There are so many great dinosaur crafts out there - perfect for occupying little ones during the upcoming holidays. And still do as adults!! I bet the dinosaur park is great fun! Isn't it great when they start discovering likes and dislikes?! You have compiled a great list, definitely a good resource for everyone with small children. So true, Sara - I'm still pretty fascinated by them as an adult also! Thank you! Haha - I'm quite fascinated by them myself! Glad you enjoyed visiting the dinosaur parks; although not on my list, we recently saw dinosaurs at Bristol Zoo and it was mixed reaction of interest and apprehension!